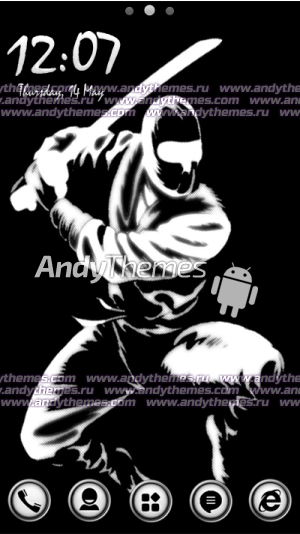 Highly recommended nice black & white themes for Android phones. Theme - White Skull2.89Thank you! Theme - Black iPhone3.6Thank you! Theme - Black and White3.11Thank you! Theme - Mosaic Black-Red3.82Thank you! Theme - Black and White Solar System3.15Thank you! Theme - Boilerplate Gray3.91Thank you! Theme - Gray Patterns4.22Thank you! Theme - Dark Water Drops3.14Thank you! Theme - White Metal3.24Thank you!